Nearly every company wants the financial and environmental savings that commercial solar power offers. But paying for a new photovoltaic (PV) system out-of-pocket can sometimes be prohibitively expensive for the average business owner. Fortunately, there are numerous local, state, and federal incentives that can help drive down the upfront cost of a new solar panel installation. In fact, we consistently help our commercial solar customers receive up to 66% “cash back” when they commission Bright Planet Consulting to install their systems. This means a PV installation that might normally cost $15,000 ends up being closer to $5,000 after all tax credits, rebates, and other subsidies have been applied. And once your system becomes operational, you begin reaping substantial utility bill savings every month – for the next 25 to 40 years. If you’d like to learn more about the benefits of affordable commercial solar power, schedule a free consultation using the button below. Reduce operating costs with a positive ROI. Running a business – even a successful one – can be expensive. But with a commercial solar installation, you’re able to tap into a cleaner and cheaper source of energy. Using free sunshine to power your operations is more cost-effective than continued reliance on the electricity grid. And unlike your utility provider, the sun will never raise its rates on you. Going solar means you pay the same low price for clean energy today, tomorrow, and 25 years from now. At Bright Planet Consulting, we deliver complete, turnkey solutions for commercial solar customers. Below are just some of the services we provide. There’s a commercial solar installation for every budget under the sun (literally). And at Bright Planet Consulting, we can help you find the best solar panels at the lowest possible price. Equally important, we offer a range of financing options to help you pay for your system affordably. We have options where you pay $0 upfront to receive a brand-new PV installation. Low-interest solar loans also allow you to receive the benefits of clean and cheap electricity – without paying anything directly out-of-pocket. And for the best possible returns, we recommend using cash to finance your new PV installation. Every rooftop is unique, which is why we custom build all of our solar installations from the ground up. 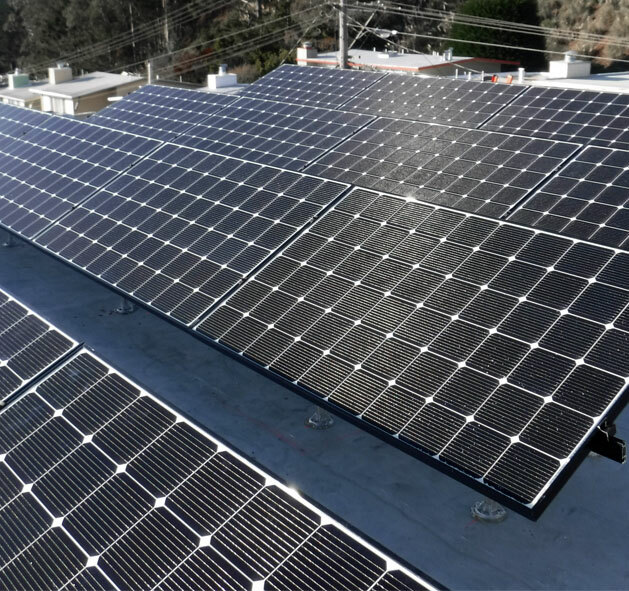 After carefully analyzing your commercial property, our team of solar experts will then carefully engineer a PV system that delivers optimal monthly savings. This design process also focuses on other variables like the slant, orientation, and solar exposure of your roof – all of which can affect the amount of clean electricity your system produces over the next 25+ years. This attention to detail ensures that you enjoy the highest possible returns from your clean power investment. Our clients are always amazed at how quickly and smoothly the solar installation process is with Bright Planet Consulting. From the moment you sign off on the blueprints, our team handles all the design, financing, incentives, and installation entirely on your behalf. We also manage all of the municipal-level paperwork – including permits, inspections, and zoning. However, speed is only part of the equation. We also guarantee our workmanship, promising that your expertly installed solar installation will continue generating handsome returns for many years to come. Going solar is a long-term investment, and we are committed to providing you with long-term savings as well. Solar photovoltaic panels are incredibly durable, requiring little to no maintenance. And with zero moving parts, breakages and malfunctions are incredibly rare. Moreover, because we use the best solar components (installed by experienced professionals), you benefit from 25 years of ironclad protection. Even still, we provide ongoing maintenance to ensure that your commercial solar installation continues delivering clean electricity for the next 25 years. If anything stops working, Bright Planet Consulting will be there to correct the issue ASAP. Even before you commission us to install your solar installation, our experts can tell you in advance how much clean electricity your system will generate every year – for the next 25 years. So there are never any surprises. But we also monitor your solar installation’s performance to make certain your system’s output remains consistent. If the sun is shining, you should be saving. And we’ll alert you the moment we detect any deviation from your normal solar electricity generation. Can I install solar panels if I lease my commercial property? How much does commercial solar cost? How large of a solar installation do I need? What kind of solar subsidies do I qualify for? Can I deduct my solar installation as a business expense? Ready to Go Solar Today? Going solar can sometimes be intimidating. But with Bright Planet Consulting, we remove the guesswork, ensuring that your commercial solar experience is as affordable, profitable, and hassle-free as possible. If you’d like to begin saving money with every sunrise, contact us today for a free consultation.